For new cyclist or those who have decided to get back into cycling, the selection, style and types of electric bikes (or e-bikes) can be overwhelming. Don’t worry, you aren’t alone and like many the decision to go with an e-bike required some insight. That begins with the reasons behind choosing an e-bike as opposed to the traditional bicycle. we've focused on quality cheap e-bikes in the under $1000 - $1500 range, but prices change all the time - the price you see listed on the product page is always the correct current price! The reasons for choosing an e-bike can be as varied and individual as the people riding them. From practical reasons to health concerns and even the basic joy of riding an e-bike, the e-bike you choose should be dictated by your purpose for getting one. People who commute to work using a bike and others who use a bike to transport items on a regular basis are evidence of the countless examples and the practical reasons for using an e-bike. Some of us need a low-impact exercise option. Others may simply want a biking option more suitable for the later-in-life cyclist or a cycling option more viable for those with health conditions. Again, this list may be as long and varied as the number of cyclist using e-bikes. There are a great deal of similarities between the traditional bike and the e-bike, and one of the most common shared traits is that bike riding is fun. What many who haven’t ever experienced an e-bike before are discovering and saying is that e-bikes offer even more fun. From the speed, to the easier hill climbing and more, e-bikes are only adding to the well-know joy of bike riding. Understanding the different types of e-bikes, what the advantages are and some particulars about the different e-bikes will help you to decide which one is best for you. This won’t require an in-depth knowledge about the different motors, how they are mounted and so on, but a basic understanding will prove beneficial when picking the right bike for you. 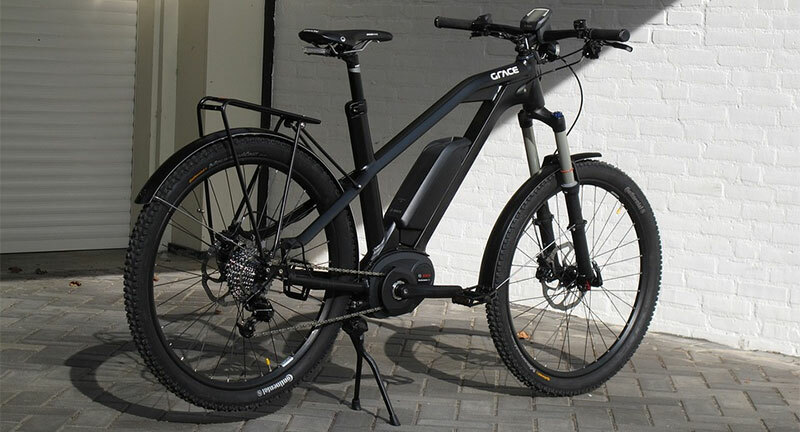 Two primary aspects of e-bikes will determine the quality and influence the price of the bike, the motor and the battery. There are basically two motor mount options and the general consensus is that each mounting type has its own advantage. Considered the most popular type currently is the “pedelec” that senses and then assists the rider in pedaling. The other type is called the “twist-n-go” where a rider can either turn the motor on or off. One motor mount type is known as a hub motor assist setup. The motor on this setup is mounted on the wheel, and is generally a very quiet motor designed more for travel and leisure riding opposed to trail riding and hill climbing. The other standard setup is called the crank motor assist. These motors are mounted near the pedal and crank of the bike, and are more ideal for power needs, although it is commonly noted that these engines can often be somewhat noisy depending on the make and model. The crank motor assist engine being frame-mounted generally has electronic control sensors which will detect the pedal force pressure and assist accordingly (pedelec). Most new bikes are going to have lithium-ion batteries. Typically, more expensive bikes will have batteries that will charge quicker, last longer and are lighter. When it comes to evaluating the battery, seeking a reputable manufacturer like Sony or Samsung is highly advisable. Checking warranties on the batteries is also important, as the battery will be the life-source of your e-bike. Pay attention to the capacity of the battery. Higher capacity batteries are heavier than lower capacity batteries. It also tends to take a bit longer to charge larger capacity batteries than lower capacity ones. Of course, you get a longer range on higher capacity batteries, so the trade-offs are worth it if you want to be able to go for lots of miles before you need another charge. On the flip side, if you only need to go a few miles and you want the quicker charging times, then go with a smaller capacity battery. Ah vs Wh ratings on Batteries – One thing that you’ll notice is that some batteries show capacity measured in Ah while others measure it in Wh. Ah refers to Amp hours and Wh refers to Watt hours. To go from Wh to Ah you simply take the battery capacity in AH and times it by the battery rated voltage. To convert the other way, you simply divide the battery’s Wh by its rated voltage. One important thing to remember is that regardless of what it listed on the battery, you’ll never actually get what is claimed, so plan for a bit less. In real-world translation, lithium-ion batteries will last for approximately 800 full charge cycles. That will equate to nearly 3 years of basic weekday commutes, although they realistically can last longer. Depending on the batter, a full charge will require between 2 to 6 hours of charge time. Also keep in mind that batteries are not fans of cold weather, which means that you’ll notice a drop in voltage that equates to a reduction in power for the bike. This cold weather effect can be reduced if you charge the battery indoors and only put it on the bike when you’re ready to ride. You have a few reasons for getting an e-bike, you have considered the motor and the battery and now it is time to investigate some of the other variables. Range, bike style and cost are three points you will want consider when shopping e-bikes. Looking at these aspects will help you find the right bike for your wants and needs. The distance a bike can travel on one fully charged battery is considered the range. Several factors will strongly configure into what the range of your e-bike will be such as rider weight, battery capacity and travel speed. Terrain and hills are other commuting considerations that will impact the range of your e-bike along with the style of bike you choose. There are quite a few bike styles for e-bikes, and most emulate traditional bicycles. The two main styles will be either flat-bar hybrids or mountain bikes. There will be subtle riding position differences from a more upright seated position (like the Dutch town bike style) to the outstretched riding positions with more lean. The bottom line here is to find a bike style that suits you best and that you find most comfortable. If you haven’t yet priced e-bikes, be warned that they will be considerably more expensive than a standard bicycle. The motor, the battery and other features will make the price tag on e-bikes much greater. That being said, the longevity, advantages and fun of e-bikes justify this price difference. You should choose a model that has gears that are smooth and easy to to use. Simple is better and you definitely want to choose a model with quality components like Shimano. Smaller wheels are typically better for e-bikes since they require less effort to get going when you’re at a standstill. Suspension forks are great if you’re going to be riding where there are a lot of bumps, but if you’re riding on smooth pavement, then you might want to skip this option. On a lot of cheaper e-bikes designed for pavement riding the forks just add extra weight that you don’t really need. Some models come with added accessories, which you may or may not really need. For instance, if you’re in Seattle then you’ll want to look for a model that comes with mudguards. Other common accessories you might see include a rack, puncture-proof tires, luggage straps, chain guards, and side stands. One thing that you’ll want to keep in mind is that electric bikes tend to weigh a bit more than your standard bicycle. This is due to the added weight of the battery and the motor. Even the most lightweight e-bikes come in at around 40 pounds, whereas you can get standard bicycles at around 20 pounds or less. So, make sure that you’re okay with this added weight before choosing an electric model. Before buying one of these, you’ll want to check the local laws to see what is allowed. For instance, Road.cc notes that in the UK, the maximum power output of the motor can’t be more than 250 watts and 14-year-olds and over can ride it without a license, tax, insurance or helmet. Buying an e-bike that is a good fit encompasses more than a bike that is comfortable to ride. Your budget, bike needs, riding frequency and personal preferences are all part of the equation. Finding an e-bike that is a good fit means that it is affordable, durable, comfortable and meets and exceeds the demands of your bike. Getting the right fit won’t be hard, it is simply a matter of investing the time to evaluate your options – and there are plenty. People bike for a myriad of different reasons and the e-bikes today are only inviting more people to discover their own reasons to start pedaling. Test ride a e-bike and discover why they are so popular and find your reason to ride.